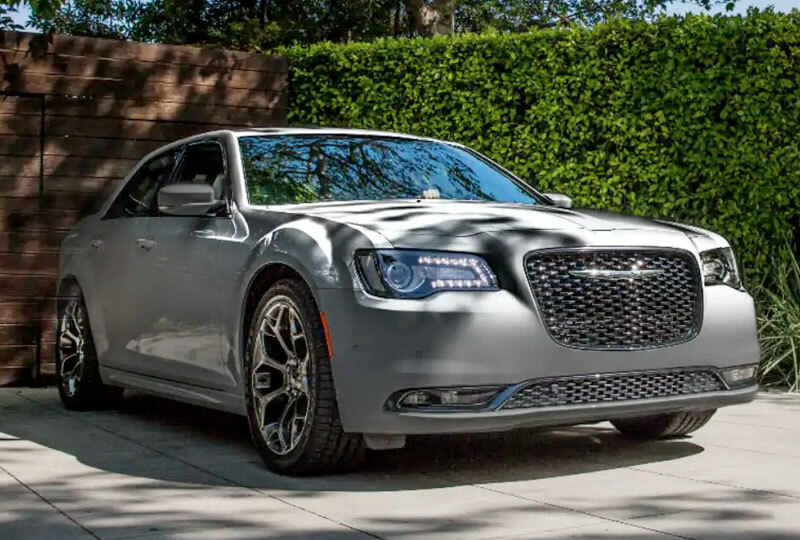 The 2019 Chrysler 300 for sale at Lake Keowee Chrysler Dodge Jeep Ram in Seneca, SC - near Greenville, Anderson, Easley, Clemson, and Pickens, SC, and Lavonia, GA - brings an exciting drive with great technology. It's powered by an award-winning 3.6L Pentastar® V6 engine and a smooth 8-speed automatic transmission. An available advanced all-wheel-drive system provides excellent traction in a variety of settings and road conditions, meaning you can have fun behind the wheel all year long. Wherever the road may take you, the Bluetooth® streaming and phone system allows you to stay in touch with loved ones. Use the Uconnect® 4C system with an 8.4-inch touchscreen display to link with Apple CarPlay™ and Android Auto™ smartphone compatibility for even more premium features. A standard 4G LTE Wi-Fi® hotspot means you won't even have to worry about wasting data while traveling. High-back front bucket seats are made more comfortable when you opt for available leather trim and heating, and you can take in the sunshine and fresh air on nice days by using an optional dual-pane panoramic sunroof. If the weather is less than perfect, you can always use dual-zone automatic temperature control instead. 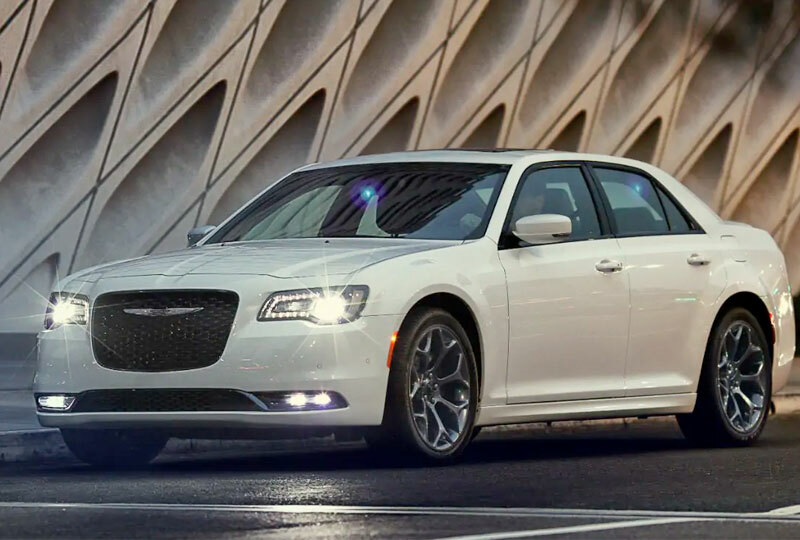 There's never been a better time to buy a 2019 Chrysler 300! Our inventory is quickly filling up and new auto loans are at their lowest rates in years. Take your test drive today with Lake Keowee Chrysler Dodge Jeep Ram by visiting the showroom at 10815 Clemson Blvd, Seneca, SC. Save smarter. Fuel Saver Technology, included with the available 5.7L HEMI® V8 engine, uses sensors to detect when full power isn't necessary such as when highway cruising. It deactivates four of the eight cylinders for improved efficiency. For exceptional convenience, SiriusXM Guardian™1 connects you to your vehicle in a multitude of ways. With greater remote access2 and control, help is there when you need it-from Roadside Assistance Call3 and SOS Call4 to Navigation features to security alerts-all from your touchscreen. 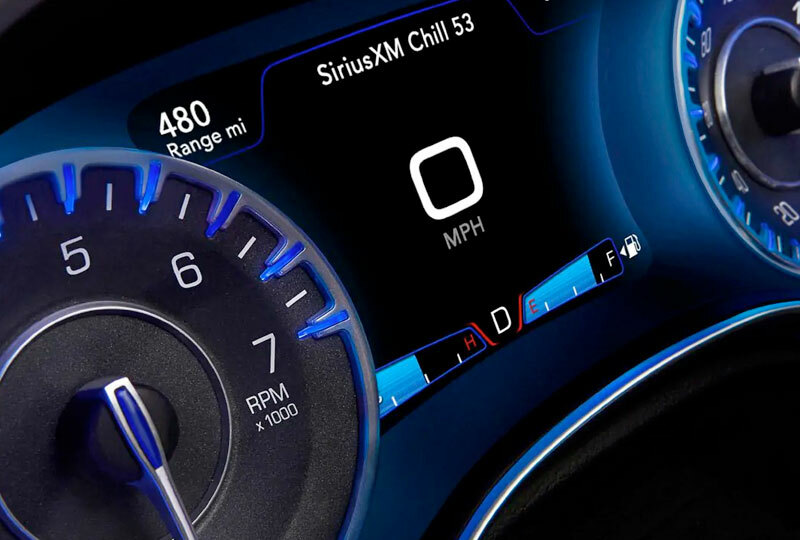 SiriusXM Guardian is standard on all 2019 Chrysler 300 models. 1. All SiriusXM Guardian™-equipped vehicles come with a 12-month trial effective on the date of purchase or lease of a new vehicle. Enrollment in the trial is required to receive service. Upon expiration of the trial period, purchase of a subscription is required to continue SiriusXM Guardian. SiriusXM Guardian is available only on equipped vehicles purchased within the United States and Puerto Rico. Services can only be used where cellular coverage is available. See Uconnect® and SiriusXM Guardian Terms of Service for complete service limitations. 2. Remote Vehicle Start is not available on all vehicles. You are responsible for using remote features in accordance with any laws, rules or ordinances in effect in your vehicle's location. You must have an active subscription to SiriusXM Guardian™ in order to use remote services. See Terms of Service for service limitations. 4. In the event of a medical or other emergency, press the SOS button to be connected to a Customer Care agent who can direct emergency assistance to your vehicle's location.